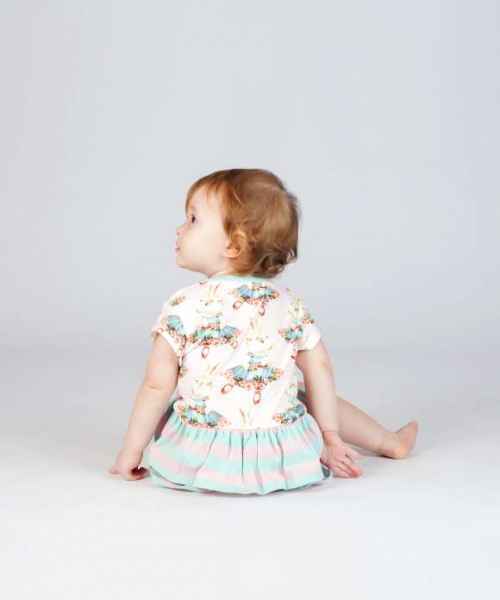 This cute organic cotton baby girl one piece outfit features a super sweet ballet bunny print and a pretty striped skirt. 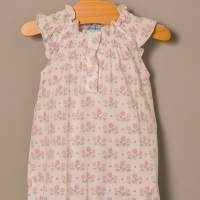 This unique infant girls skirted romper features soft eco friendly 100% organic cotton knit fabric. 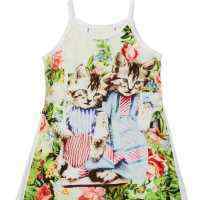 This adorable vintage style dress looks cute with the bunny print shorts in our ballet bunny shorts and tee set, available in the "You might also like" section. 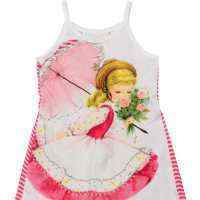 The sweet print on the front and back of this baby girl outfit features cute bunnies dancing in ballet shoes and pretty dresses, on a cute pink striped background. 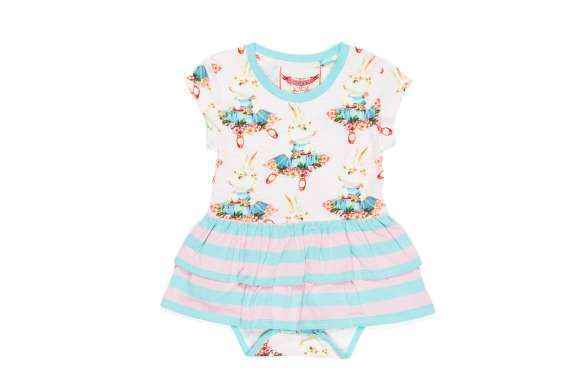 This unique baby and toddler girl romper features a layered pink and aqua striped skirt and a cute aqua band around the neck. 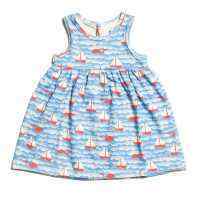 This cute organic cotton baby girl one piece outfit is perfect to wear every day and to the beach. This is not an outfit any baby girl will get sick of. 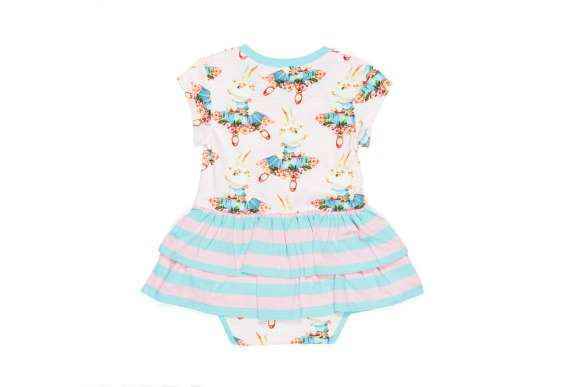 This one-piece infant girls outfit makes a super cute unique baby gift or birthday clothes gift. You can feel good about your baby girl wearing our earth friendly organic cotton clothes because they feature cotton raised without any chemical fertilizers, so they will not irritate delicate baby skin. 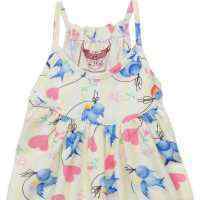 This over the top cute infant romper dress is sure to turn heads everywhere she goes. This cute organic cotton baby girl one piece outfit is ideal for professional portraits as well as parties.